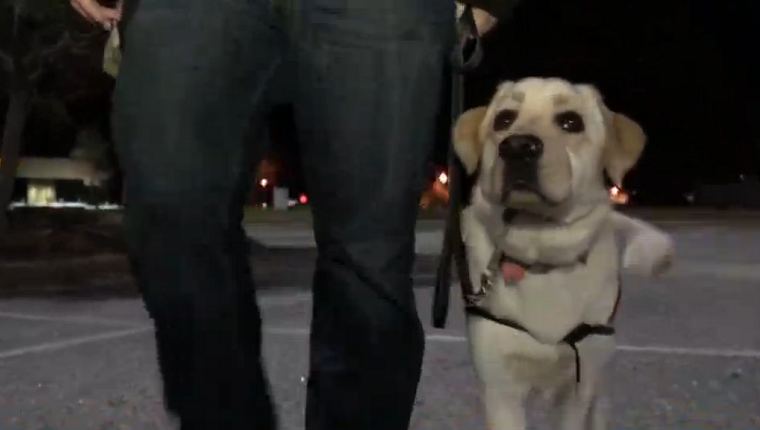 A veteran in Virginia was escorted from the premises by security at Greenbrier Mall for having a service dog. Joshua Brown suffers from Post Traumatic Stress Disorder, and requires the assistance of his service dog to go out in public places and keep his anxiety under control. Brown was accompanied by his dog and the dog’s trainer, a psychiatrist and veteran who was working with Brown and the dog to get them comfortable walking around in public places together. This is a regular and important exercise for service animals, and the trainer had conducted this routine many times without incident before. As they were walking, they were approached by a mall security guard who later returned with two other guards and a supervisor who told them to leave. When Brown asked why, the only response was that the mall was private property. The approaching guards triggered an anxiety attack in Brown as they escorted him from the premises. 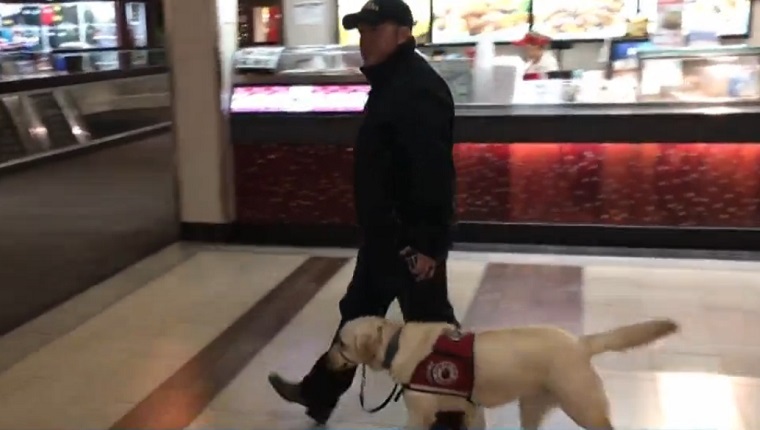 The General Manager of the mall claims that they have always allowed customers with service dogs, and that he would remind employees of that policy following the incident. Brown returned to the mall at a later time with his dog and did not have any problems. This sounds like a case of an overzealous security guard and a supervisor who was either ignorant of the building’s policies or was too proud to admit a mistake and apologize. Under the Americans with Disabilities Act, service animals are allowed in all businesses that serve the public, as they should be. They are not pets; they are assistants for people with physical and mental disabilities. What do you think? Was this a big misunderstanding? What can we do to prevent this kind of miscommunication in the future? Let us know in the comments below!